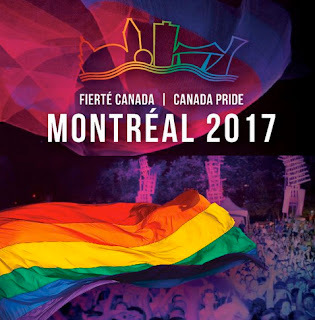 There will be over 200 activities in celebration of sexual diversity & gender plurality this summer at Canada Pride Montréal 2017 that runs from August 10th to the 20th. Programming will feature 15 free blockbuster shows, daily DJ's, fabulous drag queens, exhibits, sports tournament & two conferences on LGBTQ rights. Éric Pineault, Montréal Pride President & founder stated, “The activities we offer are really diverse! The festival, cultural & community components all have something appealing to persons of sexual diversity & gender plurality, as well as to our allies.” Nelly Furtado will headline the festival presented by Sirius XM Canada with Gregory Charles & Marie-Mai, l’Acadie de demain, with Édith Butler & Radio Radio, Supernovas, with David Usher & Jonas, Drag Superstars with 12 contestants from RuPaul’s Drag Race. Throughout the festival an art gallery will be set up in containers at the corner of Sainte-Catherine & Saint-Hubert Streets. It will feature the works of 10 artists including paintings, drawings, photography & high fashion creations. A presentation on 375 years of LGBTQ+ history & the evolution of the Pride Movement in Canada will be featured at Pride House in the heart of Parc des Faubourgs. Theatrical productions will also be presented & a two-day sports tournament has been added into the program featuring badminton, rugby, soccer, softball, tennis, volleyball & water polo. Founded in 2007 Montréal Pride is dedicated to promoting LGBTQ rights & celebrates their cultural wealth & social advances.